Another bruising blow couldn’t derail the Cleveland Indians. 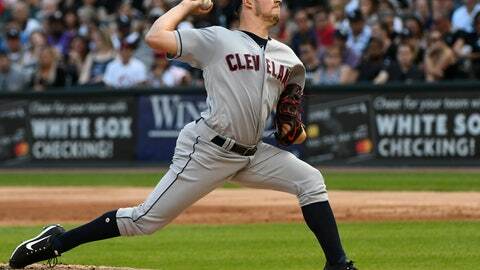 Bauer (12-6) won his fourth straight start. He gave up one run and struck out eight before Jose Abreu’s leadoff liner hit him in the seventh. “He got hit pretty hard, but then again just to cover everything, we’ll get an x-ray,” Francona said. Indians: Francona said the swelling in Encarnacion’s bicep is “not bad at all,” and X-rays on his right hand “came back actually really good, really clean.” Encarnacion has struggled since being hit on the right hand by Yankees reliever Chad Green before the All-Star break. He has often been swinging with one hand, putting more stress on his upper arms. … RHP Corey Kluber left the ballpark feeling ill prior to the game, though Francona said he should be ready to make his scheduled start against Cincinnati on Tuesday.